If you enjoy wine, ice wine, Niagara-On-The-Lake, elegant dinners or Niagara Falls, then we have a wonderful day trip planned for you! Visit to the Twenty Valley area of Niagara Region for the Niagara Icewine Festival. Over 30 wineries, 100 wines and lots of fabulous foods available to try. Please note food and wine must be purchased with tokens. Tokens are sold on-site at the token tent and are not included in the tour price. 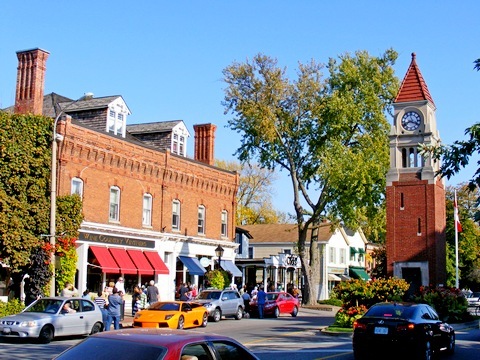 Visit and free time in Niagara-On-The-Lake. 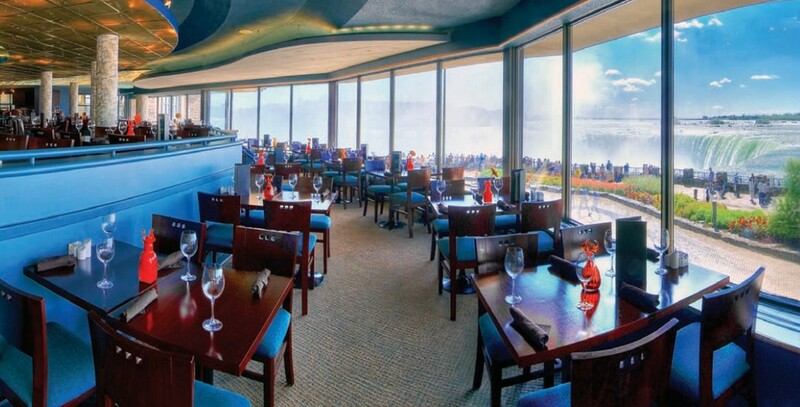 Elegant 4-course dinner at Elements Restaurant in Niagara Falls, directly above Niagara Falls with breathtaking views of the falls as you enjoy your dinner. We have 4 pickup locations in the Toronto area. Please click on the location names below for details about that particular location. Sorry but no refunds if cancellation is less than 7 days prior to departure. Sorry but this trip is restricted to adults 19+. We start off our day in the beautiful Jordan Village, the site of the Niagara Icewine Festival on this particular weekend. Please feel free to play the short video above from the 2014 Icewine Festival. Enjoy cozy open fires, live entertainment and sensational tastings on the streets of Jordan Village. 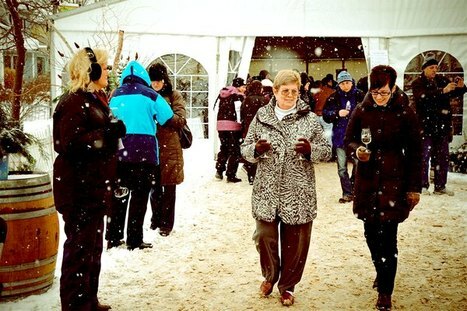 This year the festival features over 100 VQA wines including red, whites, sparkling wines and Icewines from over 30 VQA premium wineries. Sip and savour from a list of specialty and reserve wines not offered at any other wine event. Canadian recording artists will be providing live musical entertainment all day long. Indulge in the delicious food offerings and enjoy the fashion shows. And we finally finish our day by driving to Niagara Falls along the very scenic Niagara Parkway, which in winter is even more beautiful than usual. Our 4-course dinner will consist of soup & salad followed by a choice of entree (prime rib, herb crusted chicken, fresh salmon or wild mushroom ravioli), followed by dessert and tea/coffee. A gluten-free option will be available. By the time we get to the restaurant, it will be dark and we will be treated to the night time illumination of the falls as we sit down for dinner. 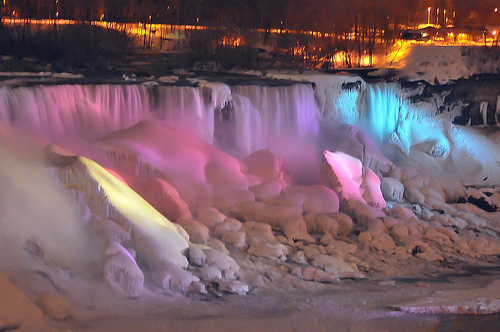 ​What could be a better backdrop to our dining experience than Niagara Falls in winter, lit up at night!